A supercharger is an air compressor that increases the pressure or density of air supplied to an internal combustion engine. This gives each intake cycle of the engine more oxygen. It lets the engine burn more fuel and do more work, thus increasing power. So if more air is forced & compressed into the cylinder, there will be an increase in the mean pressure & hence will produce more power. The power to the supercharger is provided mechanically by the means of belt(usually), gear, shaft or chain connected to the engine’s crankshaft. 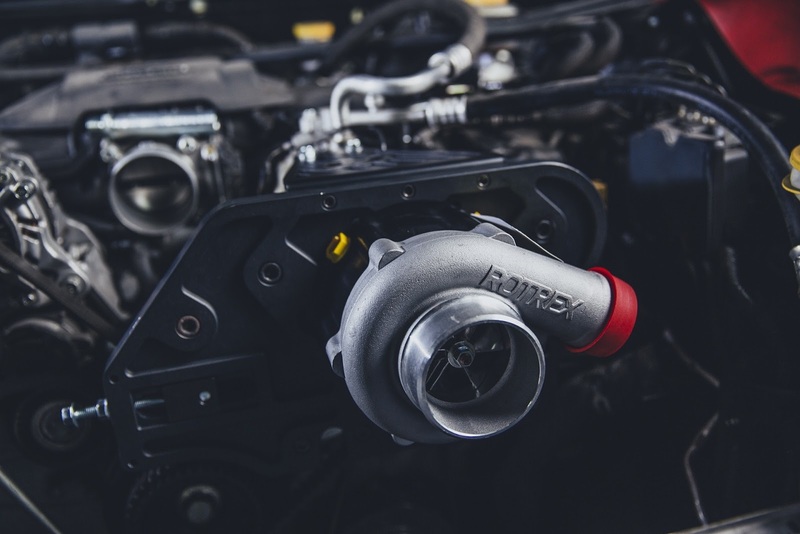 Supercharging is a type of forced induction as it is an external application which forces or helps engine to increase power due to external source. In Internal Combustion engine, we use supercharging to increase the volumetric efficiency. It is most commonly used in petrol engines. Superchargers increase intake by compressing air above atmospheric pressure, without creating a vacuum. This forces more air into the engine, providing a “boost”. With the additional air in the boost, more fuel can be added to the charge. Thus, the power of the engine is increased. Supercharging adds an average of 46 percent more horsepower. In high-altitude situations, where engine performance deteriorates because the air has low density and pressure, a supercharger delivers higher-pressure air to the engine so it can operate optimally. Pressure goes on increasing during compression stroke & goes on decreasing during exhaust stroke. To pressurize the air, a supercharger must spin rapidly — more rapidly than the engine itself. Making the drive gear larger than the compressor gear causes the compressor to spin faster. Superchargers can spin at speeds as high as 50,000 to 65,000 rotations per minute (RPM). As the air is compressed, it gets hotter, which means that it loses its density and can not expand as much during the explosion. This means that it can’t create as much power when it’s ignited by the spark plug. For a supercharger to work at peak efficiency. The compressed air exiting the discharge unit must be cooled before it enters the intake manifold. The inter-cooler is responsible for this cooling process. Inter-coolers come in two basic designs: air-to-air inter-coolers and air-to-water inter-coolers. Both work just like radiator, with cooler air or water sent through a system of pipes or tubes. As the hot air exiting the supercharger encounters the cooler pipes, it also cools down. The reduction in air temperature increases the density of the air. It makes a denser charge to enter in the combustion chamber. The volumetric efficiency of naturally aspirated engine is below 90% but for supercharged engine the volumetric efficiency is above 100%. Supercharging leads to better combustion and so the total power produced by engine is also increased. This advantage is due to availability of higher oxygen during the combustion which ensure better combustion. These are commonly used in the vehicles & are powered by the engine via a belt-pulley system. The air-fuel mixture enters the impeller at the center. The air is then passed through diffuser. It increases the pressure. Finally the air makes it way through the volute casing to the engine. Root’s type contain two rotors of epicycloid shape. The rotors are of equal size inter-meshed & are mounted and keyed on 2 different shafts. Any one shaft is powered by the engine via a V-belt or gear train(depending on the distance). Each rotor can have 2 or more than 2 lobes depending upon the requirement. The air enters through the inlet. It gets trapped on its way to outlet. As a result, pressure at outlet would be greater than the inlet. There are a number of vanes are mounted on the drum of the supercharger. These vanes are then pushed outwards via a set pre-compressed springs. This arrangement helps the vane to stay in contact with the inner surface of the body. Now due to eccentric rotation, the space between two vanes is more at the inlet & less at the outlet. In this way, the quantity of air which enters at the inlet decreases it’s volume on its way to outlet. A decrease in volume results in increment of pressure of air. Thus the mixture obtained at the outlet is at higher pressure than at the inlet. Above all, Higher power output/ Horse power.- The need for which it is used. Does not suffer from lag. Price (Cost effective way of increasing power). 1) It consumes extra power from engine. 2) Less reliable because engine is exposed to high temperature and stresses are induced. The man behind the automobile articles. A mechanical engineer who is curious in automobiles and wants to share this knowledge among all curious persons.